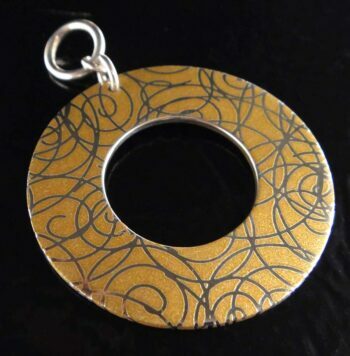 A unique silver printing process creates this unique open circle pendant! 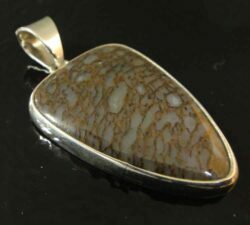 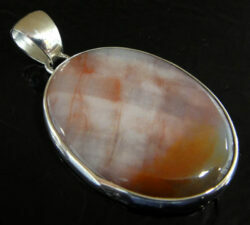 Truly a modern look, this pendant features a tan background with silver swirls peeking though. 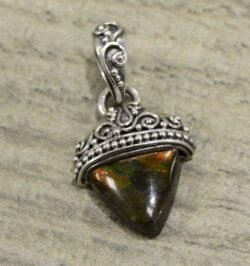 This pendant measures approximately 1.5” tall by 1.5” across. 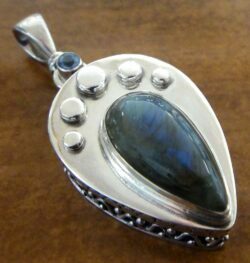 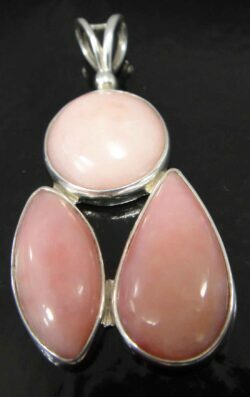 This pendant looks great with both formal and casual clothes. 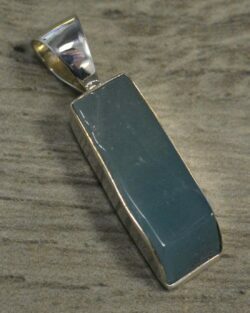 Long or short chains both look good with this unique design!